The Patriots Club’s Christmas/New Years Eve Party will be on on FRIDAY January 18th at Laurel Manor. 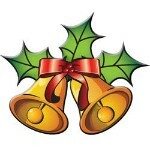 Christmas will be celebrated from 5 pm-7 pm and magically, the New Year will be rung in thereafter! $25. p.p. includes tickets, dinner, entertainment and surprises. Tickets are limited to the first 210 members. THIS WILL BE A SELLOUT! Tickets will be on sale at our football games and meetings. Checks can also be delivered or sent to 243 Juarez Way, The Villages, 32159. Make checks out to NEPCV (New England Patriots Club of the Villages).